Aktiveight – The Official Website For Aktiveight & Aktiveight Productions. 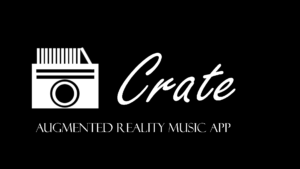 Crate is the first its kind mobile application. This augmented reality app allows you to scan the front cover of music albums that will instantly display a three-dimensional video on the smart device’s screen. The app can instantly recognize different album covers and instantly renders the music video. This is useful to people who are album collectors, record store owners, and anyone who would be interested in collecting vinyl or CDs! – Although the application doesn’t require everyone to create an account. The Augmented reality feature will always be available for anyone to use freely. Users can choose sign up for a FREE account to BUILD a collection, LEVEL-UP, and earn REWARDS by completing challenges. – The collection is where the all scanned and owned albums will be stored. Share all scans on our AKTIVE feed and on any social media platform. The user can determine to keep their collection public or private. – Allows the user to take videos and photos of the scanned album. The augmented reality feature will be active once the album is recognized using photo recognition software and our app database. Help us raise the appropriate amount of funds to complete the programming and development, fund the cloud database storage, web hosting, licensing, marketing, and taking all the necessary steps to make this application public. I plan to release the Beta version of the application Summer of 2019, with YOUR help I can release this beta version early and give everyone a preview of what is to come on the full release. There are a lot of benefits that this application can bring. However, I believe that this app will help many independent musicians who are selling CDs or vinyl records. I wish to help these artists and musicians by providing them with a platform that gives their constantly changing fan base a whole new way to experience buying an album! Please help my product succeed in this industry by donating whatever you can. I promise your donations will be used for the greater good of this application and all of the users who will make this project a reality.